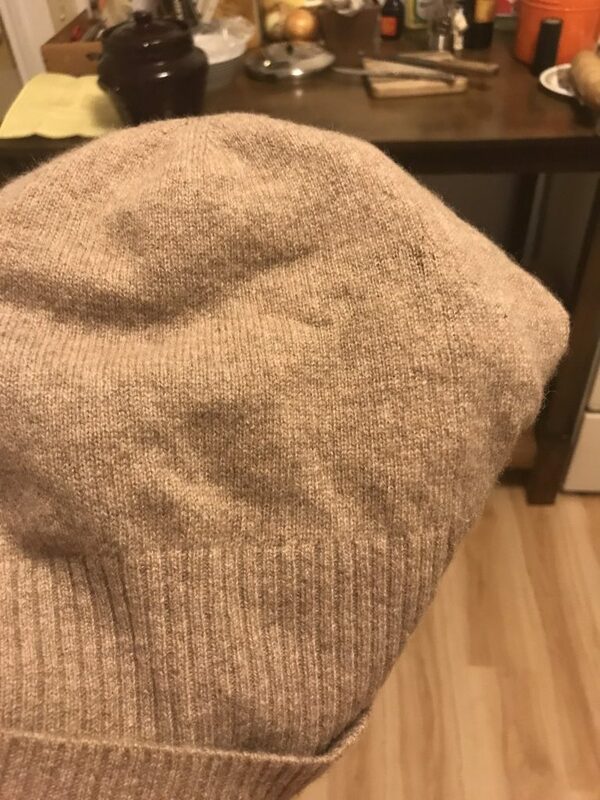 Sibling C got a holey cashmere hat from a friend who didn’t like it enough to want to repair it. C wanted to repair it, but didn’t have darning yarn in the right color. 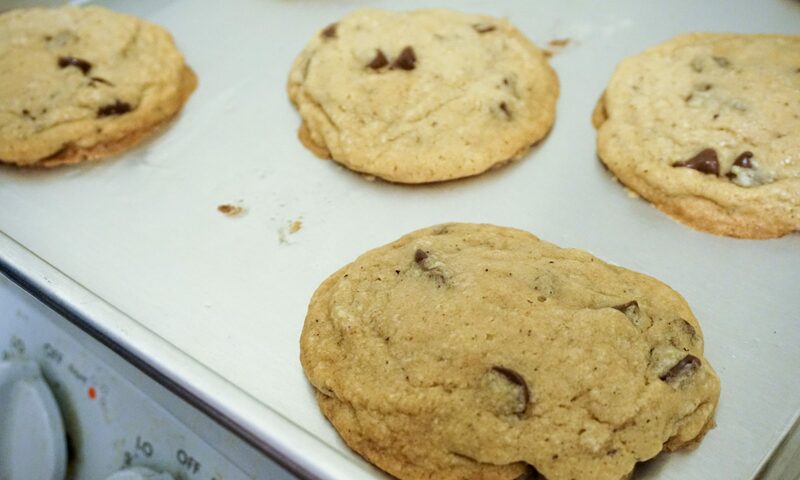 So… I spun some for her! 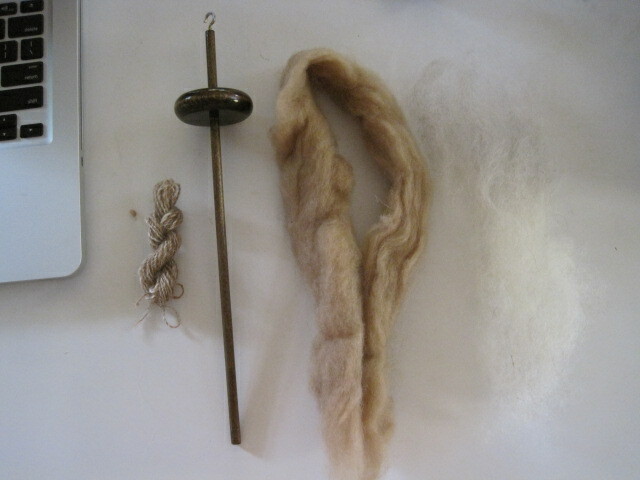 The finished yarn, my drop spindle, camel hair, and white/light gray Shetland wool. The yarn is worsted-spun so that the fibers are aligned. This makes the yarn stronger, shinier, and less prone to pilling. 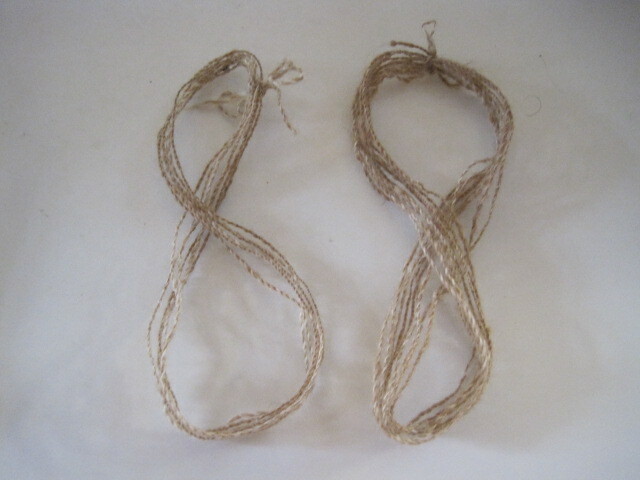 I combed together camel hair and wool to make a lighter tan color. Two tiny skeins of yarn! It’s about 18 ft in all.